Le More villa - Umbria , Italy . 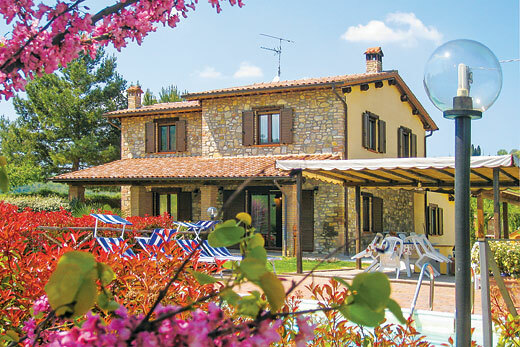 Self Catering Family Holidays and Short Breaks in Umbria. 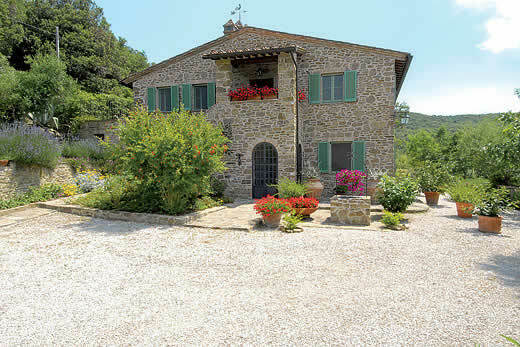 What we think of Le More villa in Umbria:At the centre of Umbria, in a wonderful commanding position, enclosed within 3 hectares of Olive trees completely fenced in, this villa is a recently restored ancient stone house enjoying 360 degrees of spectacular views over the surrounding hills. 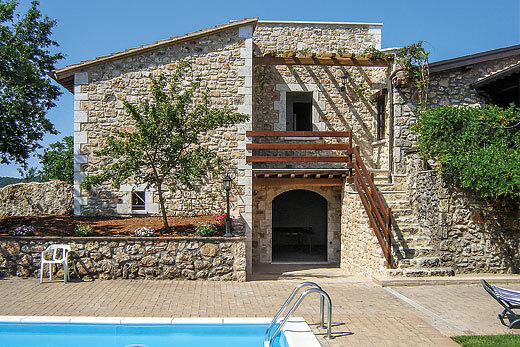 The gracious stone house has been renovated respecting faithfully the typical taste of the Umbrian farmhouses with wooden beams, tiles, cotto floor, stone arch, built in kitchen and big fireplace. The interiors have been furnished with great care and elegance creating an atmosphere of delightful familiarity and intimacy. The porch on the ground floor and the covered terrace on the first floor are furnished and equipped for eating outdoors to enjoy the splendid landscape. You will find 1 double bedroom with en suite located on the ground floor, which also consists of a furnished porch with wood burning oven, a large dining room and a fireplace, connected to the kitchen by an antique archway. Upstairs is accessed via the lounge or an external staircase. Up here you will find 2 double bedrooms with en suites, 1 master bedroom with en suite that boasts a walk in wardrobe, a kitchen and dining facilities on a covered terrace, The Mansard is accessed via a wooden staircase , up here you will find a double bedroom. 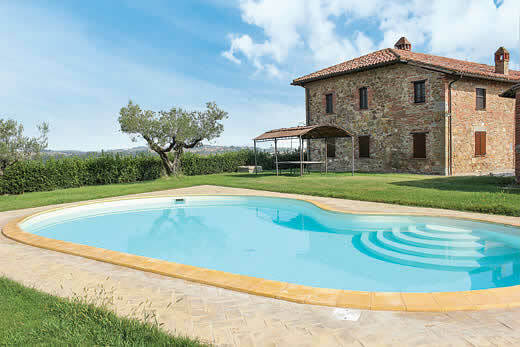 A small wellness centre is located on the estate and is available to share with the villa next door on a timetable basis, giving guests sole use of facilities including a Jacuzzi, Sauna, Turkish bath and gym. 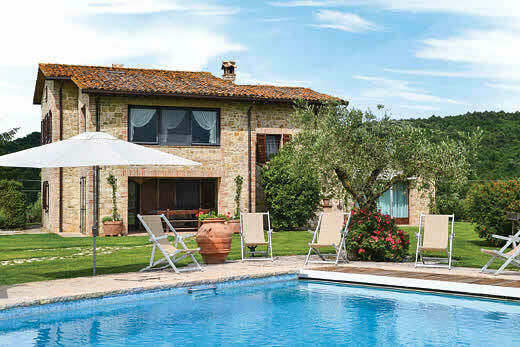 Holiday offers and last minute deals in Italy from only £2597 - Don't miss out book your holiday with uk-holiday-offers.co.uk today!